President Moon Jae-in nominated two new justices to the Constitutional Court Wednesday. 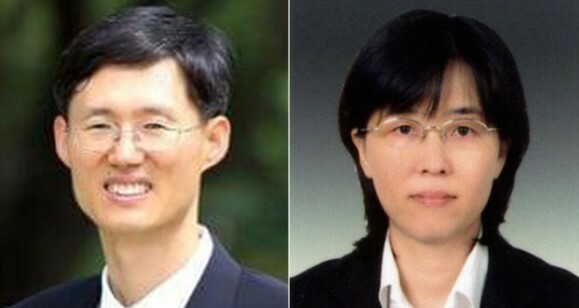 The president has tapped Moon Hyung-bae and Lee Mi-sun, both district court judges, to become the newest members of the Constitutional Court's nine-member panel, Moon's office Cheong Wa Dae said. Moon, 54, is currently serving as a senior judge at Busan High Court, while Lee, 49, sits as a senior judge at the Seoul Central District Court. The two will replace outgoing justices Cho Yong-ho and Suh Ki-suk, both of whom are set to step down April 19. The justice-nominees must undergo parliamentary confirmation hearings before they can be appointed.